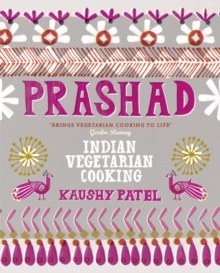 Since winning everyone over on Ramsay's Best Restaurant, Prashad has grown in size and reputation, and so too has the Patel family. 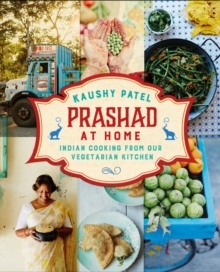 In this, their second book, Kaushy returns the focus to the heart of Indian home cooking. Traditional recipes have been simplified using readily available ingredients. These are the quick dishes that can be prepared in the evenings when you're tired after work, meals to leave bubbling away while you relax at the weekend and feasts for special occasions - as well as everything you need to serve alongside: the breads, the rice and the chutneys. You'll also find many recipes drawing influence from British, Chinese and Italian cuisines - a perfect combining of cultures in the kitchen. And, because Gujaratis are well known for their sweet teeth, there are plenty of snacks and treats too. Life is all about balance after all. Times have changed and what we eat should suit our lifestyle, but whether you have 20 minutes or two hours, cooking should be enjoyed, bringing both you and those you are cooking for pleasure. 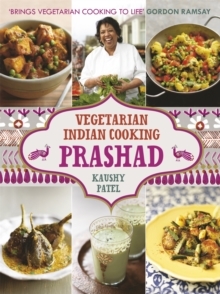 From bhajis to feast biryanis to beans on toast, Gujarati-style, here are more than 100 recipes to bring warmth, taste and texture into your home, all made with the Patel's characteristic love and passion for vegetarian food.